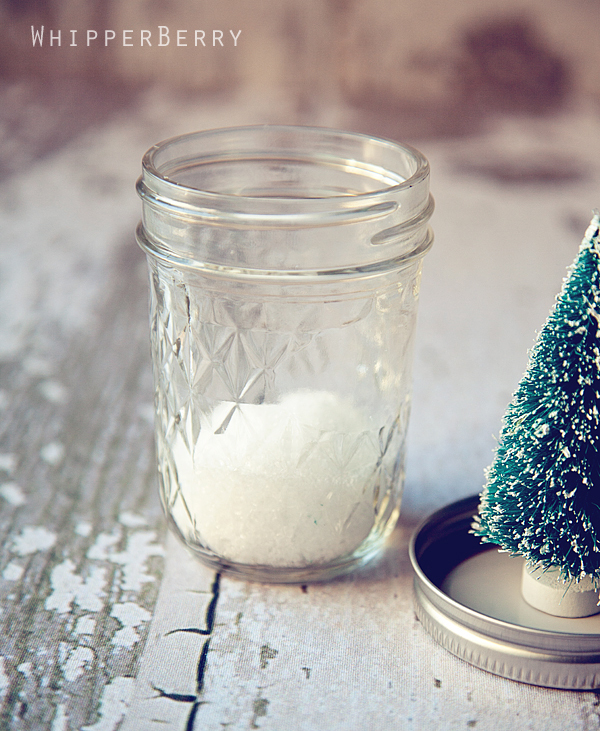 Place a small amount of snow in the jar. Make sure not to fill it too much. You only need enough to cover the bottom of the tree once turned. Now… shake to your hearts content! You've made a snow globe in like 2 minutes. 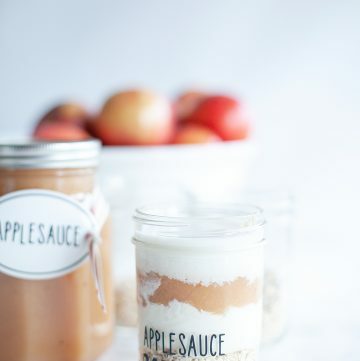 Create a few more out of different size and shaped jars and you will have a beautiful display that will last for years! I haven’t been to Anthro in a while, I need to get by there before the holidays are over. How did you get them that color? Aren’t they fun, we made them too! yes, I am in LOVE! Who needs the water? Love these! Where can i find the tree’s? I love this!!! This are so adorable, Heather! So fun! I did the same exact thing a few weeks ago…went in there, spotted them and knew I could recreate them fast. They’ve been a total hit!! Yours turned out so cute! And the straws are perfect, thanks again!! I owe ya! Thanks friend, are they fun and soooo easy! Glad I could come to the rescue with my fabulous straw power. 😉 Hope the party goes off without a hitch! They are just so sweet, what a lovely gift too. 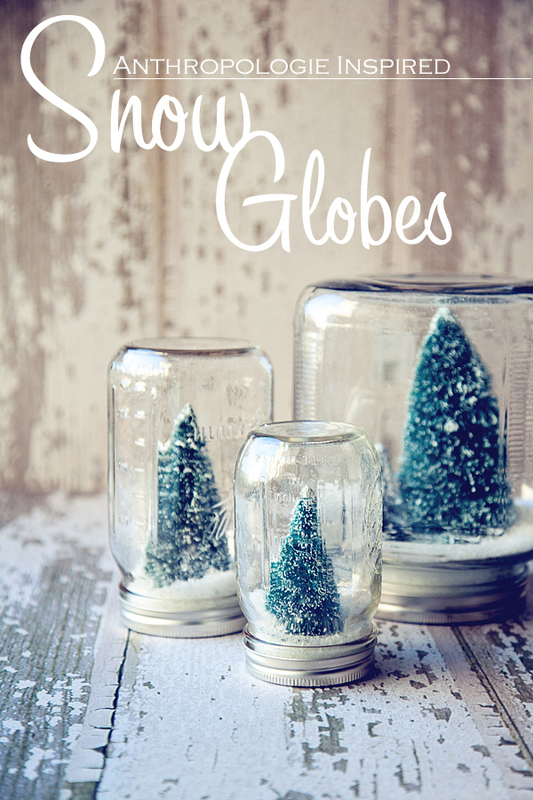 I’ve goth this linked to my snow globes post as well today, for inspiration! These are lovely! I’m such a novice photographer. How did you get the background to blur while keeping the forefront so focused?? 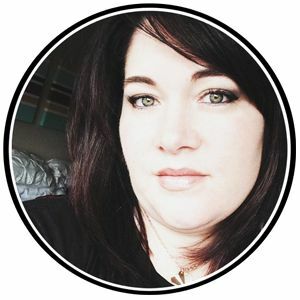 I’d love if you could share a tip with me. It is such a pretty photo. 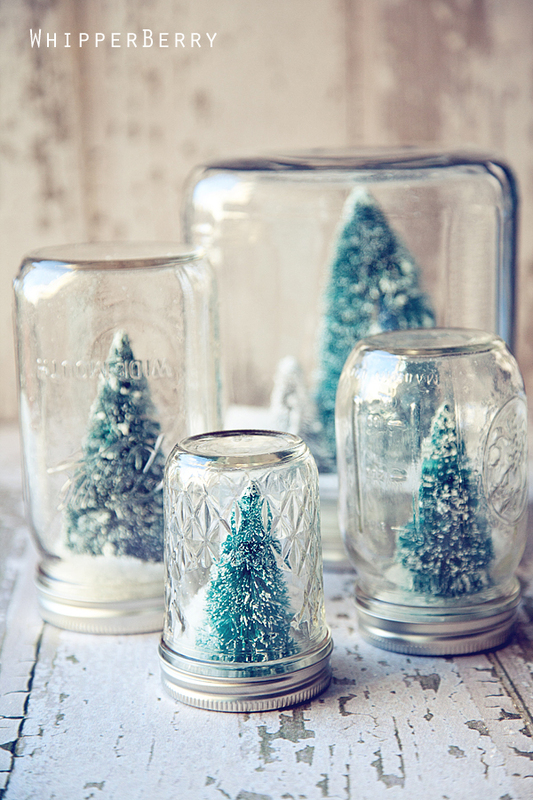 Also, love this idea Heather and am adding it to my crafty things to do for the holidays. Susan that is exactly how I feel!! I plan on making variations for each season this year. I would LOVE to see what you come up with! Is there water in there, or just the snow that settles around the decor? I love your waterless snow globes. I wanted to make some for the wonderful girls in my life last Christmas but couldn’t find what I thought were appropriate jars. Now I know any kind of jar will work. Thank you so very much for the inspiration!! These are so beautiful! Thank you so much for sharing!! These are adorable!! Can’t wait to make a few as gifts!! 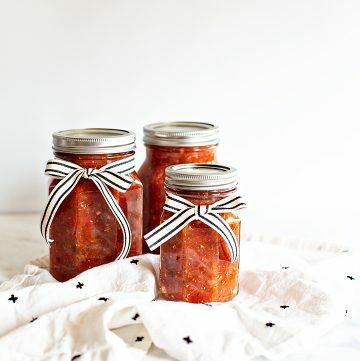 how lovely, i am going to make these, but for what occasion could you give these as a gift? 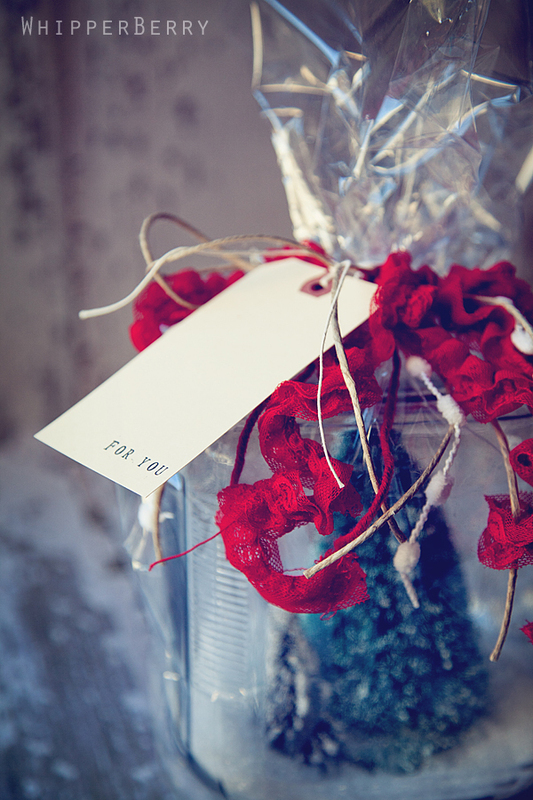 How about a hostess gift, when attending a holiday party? Or for the babysiter, friends,etc? 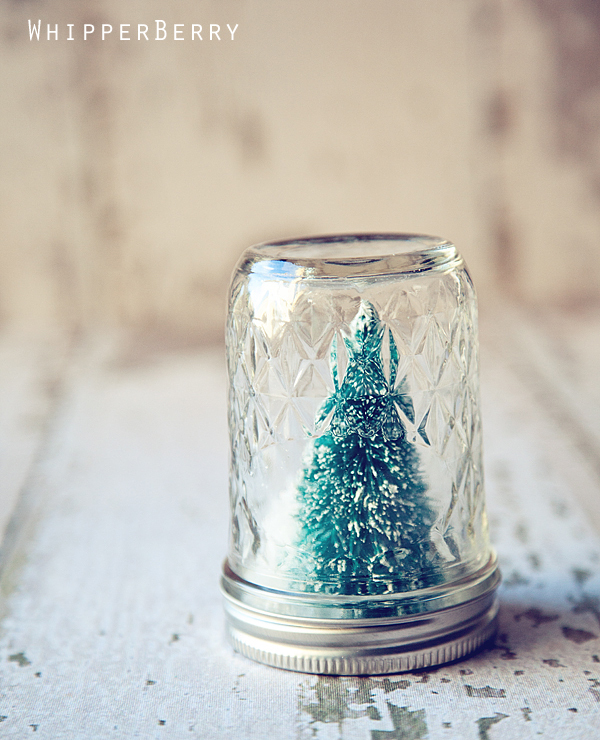 Did you put water or any other liquid in the “jar snow globes” ?? nope, these are dry snow globes. Beautiful – especially love the blue trees – I will have to do these!!!! Thanks Heather. Good idea for the grandkids! They will love it! 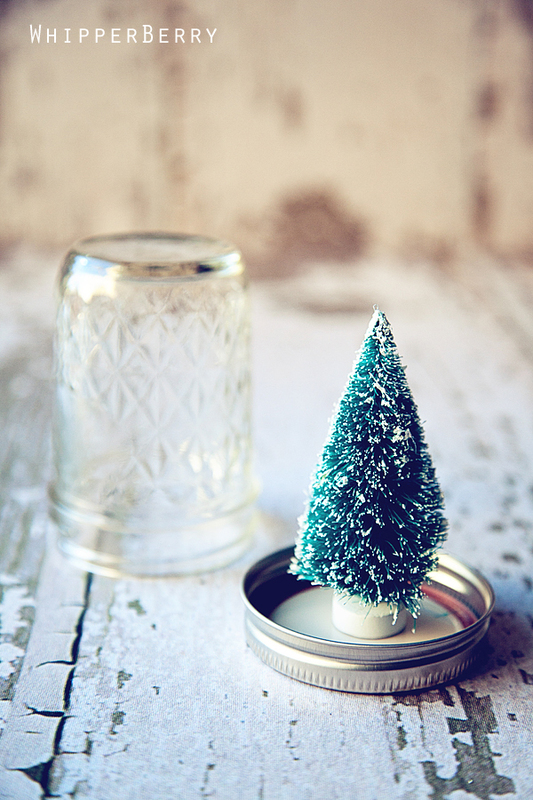 Love this tutorial, I am hoping to make these as a Christmas center piece for our table. They look very elegant. I made small ones (2-1/2" tall) and stuck them in clear plastic containers. I used tacky glue and it worked fine. I gave these away along with small holiday-scented hand sanitizers in little Santa bags for holiday "gifts". They were a hit in the office! Thank you for this great idea! 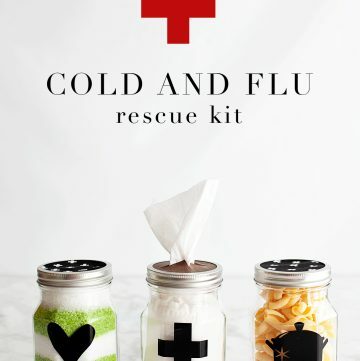 I made a ton of these this Christmas and gave some as presents: Everyone loved them! Thank you so much for the inspiration! 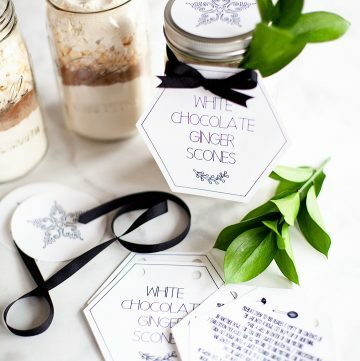 Although for some of them, I kept the jars the tight way up, and covered them either with Christmas paper or plain brown paper with white ribbon and they looked gorgeous. Why no water in them? That’s the part my granddaughter loves!